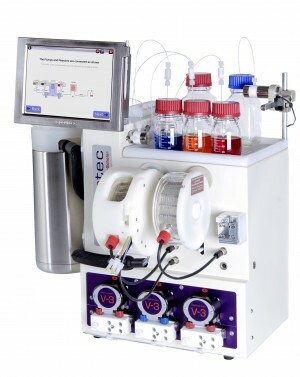 A fully automated flow-through process for the production of secondary sulfonamides is presented. Primary sulfonamides were monoalkylated using a two-step “catch and release” protocol to generate library products of high purity. 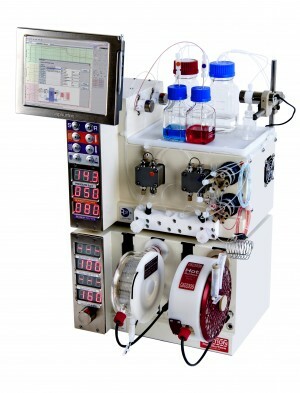 The automated flow synthesis platform incorporates four independent reactor columns and is able to perform automated column regeneration. A 48-member sulfonamide library was prepared as two 24-member sublibraries, affording library compounds in good yields and high purities without the need for further column chromatographic purification.